Announcing the International Conference at National College of Ireland, Dublin, on the 23rd & 24th May 2015, celebrating the 25th Anniversary of the Irish Society of Homeopaths and the ECCH. 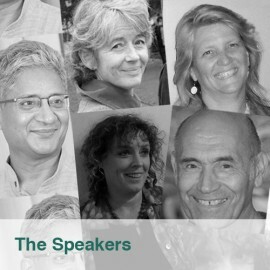 Speakers : RAJAN SANKARAN (India), DAVID LILLEY (South Africa), KIM KALINA (USA), BERNIE SMYTH (Ireland) and ALIZE TIMMERMAN (Netherlands) will share their knowledge & experience of homeopathy over the last 25 years. Post Conference Seminar with Rajan Sankaran on the 25th & 26th May 2015. LIMITED EARLY BIRD TICKETS available until the 1st March.